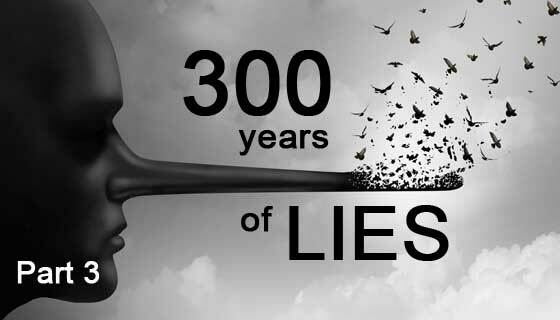 Find part two of “300 Years of Lies” here. Follow the money and you’ll uncover the truth. This is the final in a series of four articles, in which I list some of the largest lies over the past three hundred years, and uncover the backgrounds to them. Banksters and governments together have wound a web of intrigue that is so unbelievable that the general public is slowly coming around to just that conclusion: They are so unbelievable that they are probably true. Indeed, they are. We’re on the cusp of a major revolution that will uncover many, if not most, of the enormous lies that have allowed the “elite few” to become super-rich and ultra powerful. 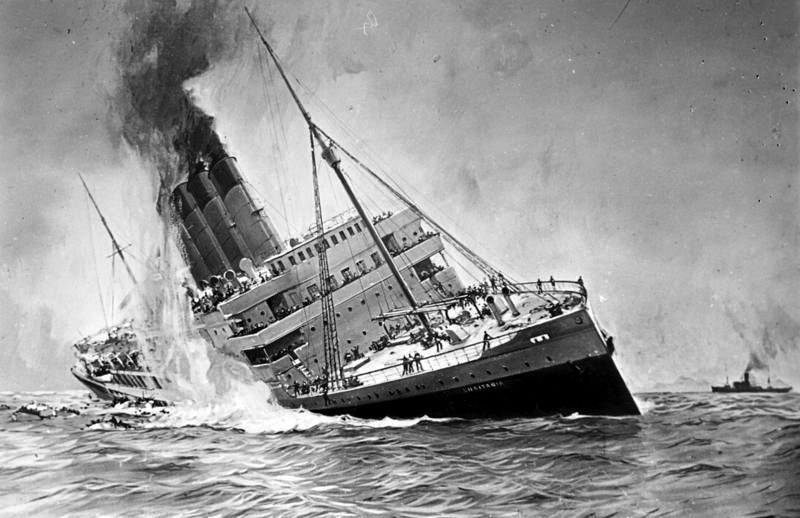 Lie: The US entered the war when the Lusitania was sunk by the German navy by surprise—with no warning . This bit of intrigue begins with Winston Churchill and ends with the then sitting President, Woodrow Wilson. In the early stages of WWI, England and France went heavily into debt. The House of Morgan (as an acting partner of the Rothschilds) had been chosen to handle the sale of bonds in the US. As the war raged on, due to Britain’s deteriorating military position, it was becoming more difficult to raise funds. Morgan also received a commission for the sale of armanents produced by the US (this is where most of the money raised went), so they had more than a little bit of interest in seeing the war persist. It was obvious on a number of levels that it would be advantageous to have the United States enter the war. The Lusitania was owned by the Cunard Line (a competitor of JP Morgan, by the way). It was thought of as a luxury liner, but she was really outfitted to be easily converted into a ship of war. She left New York harbor on May 1, 1915 and was sunk by a German U-boat off the coast of England six days later, with 195 Americans on board. First Lord of the Admiralty, Winston Churchill had instigated a number of policies to help make sure not only that the Lusitania would be sunk, but that the sinking would be instrumental in helping lure the US into the war (it would take a couple of years to complete the process, though). The Lusitania, after leaving New York, was scheduled to rendezvous off the Irish coast with the Juno, a British destroyer. However, the Juno was called out of the area at the last minute, without informing the captain of the Lusitania. The captain of the luxury liner has also been ordered to cut back on fuel due to costs and so the ship only had 75% of her potential speed. The Lusitania was carrying a huge cargo of munitions slated for Britain, as well as a passenger list of 1195, 195 of them American. The perfect set-up. It went down in eighteen minutes. And you’re wondering why we’re seeing such one-sidedness of the US media during the presidency of Donald Trump? Most of the US media are owned in part by the Rothschild family. 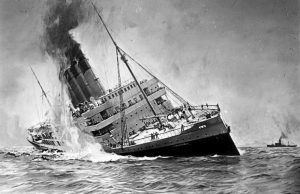 It was not until two years later that the US entered the war, but the sinking of the Lusitania was a sore point that was latched onto by the media. In the meantime, well aware of all the goings-on, and having agreed to a secret deal to bring the US into the war, Woodrow Wilson campaigned for his second term based on the slogan, “He kept us out of war.” Behind the scenes, hower, he was pushing Congress for a declaration of war. In early 1917, it was becoming clear that Britain was in trouble—one out of four steamers leaving the British Isles never returned to port; German submarines were proving highly effective. On April 6, 1917, war was declared on Germany. In the background, financial, political, and military interests had been fulfilled. 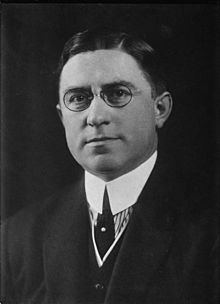 Louis McFadden was a Republican member of the United States House of Representatives from Pennsylvania, serving from 1915 to 1935. A banker by trade, he was an opponent of the Federal Reserve System and was the chief sponsor of the 1927 McFadden Act, which limited federal branch banks to the city in which the main branch operates. In 1933 (during the Great Depression), President Franklin Roosevelt took the US dollar off the gold standard. That’s because foreign powers were trading in their dollars for gold and the Treasury was running dangerously low. The US was in fact, bankrupt. 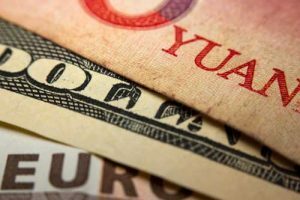 Americans were forced to turn in their gold and then the dollar was devalued. This move essentially thrust the debt onto the shoulders (and out of the wallets) of the American taxpayer. McFadden was furious. He maintained that the Federal Reserve (being a private bank) was legally obligated to repay the debt to the American people in gold. In 1933, he introduced House Resolution No. 158, which included articles of impeachment for the Secretary of the Treasury, two assistant Secretaries of the Treasury, the Board of Governors of the Federal Reserve, and the officers and directors of its twelve regional banks. The final attempt seems to have done it: He was in New York City visiting with his wife and son in late September 1936, when he was taken ill at his hotel and died of coronary thrombosis. Lie: The military industrial complex (or “Deep State”) is a rather recent concept. 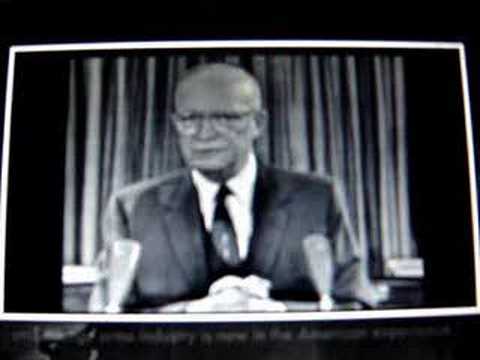 In his farewell speech as he was leaving office, President Dwight D. Eisenhower warned of the Military Industrial Complex and the power they wielded even then. Lie: There have been no warnings of a “Deep State” that works outside the wishes of the Oval Office. This speech was given by President Kennedy at the American Newspaper Publishers Association meeting in New York City. It was only three months after Eisenhower’s warning. You can listen to the entire speech here. An excerpt, highlighting the pertinent passages is below. 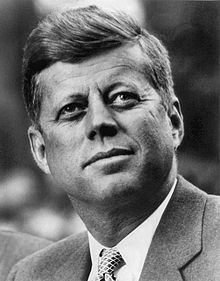 Lie: President John F. Kennedy was killed by a lone gunman. I don’t imagine there are many people who believe anymore that Lee Harvey Oswald carried out the assassination of President Kennedy on his own. In fact, the consensus now is that he was a patsy and was never even involved in the shooting. There’s been so much written and there are so many videos and films on the internet that I’ll leave to you to do your own research. In fact, President Putin of the Russian Federation mentioned the connection in a recent interview. President Trump has the sole decision on the upcoming scheduled release of all the documents surrounding the assassination in 1963. I originally started with a two part article that quickly grew to three and now four parts. I could easily write another two parts. The final fourth part is yet to come next week. As I do the research, I find more and more stories from the past that just don’t “add up.” When you look at the events of the past several hundred years, knowing the underlying forces at work, it’s much easier to discern what’s real in today’s information explosion and what’s not. Most of it is not. This third part of the series is heavy in video content, but if you watch it, you may get the feeling that perhaps the “conspiracy theory” that is heavily discounted by major news media is because the major news media are part of the conspiracy. In the fourth part, we’ll follow the lies right up to today, and take a step back from what’s happening with the Dump Trump conspiracy, which is eventually going to lead to civil war in the United States. Civil wars and countries falling apart are very big themes on the downside of the 516 year cycle. Part 4 of “Three Hundred Years of Lies” is here.